Webinar on August 23rd at 11 AM ET. Register Here. WASHINGTON, D.C., August 23, 2017 – A new study finds that public sector employees with retirement plan choice overwhelmingly choose defined benefit (DB) pension plans over 401(k)-type defined contribution (DC) individual accounts. Among the eight states studied that offer employees such a choice, the DB pension take-up rates in 2015 were 80 percent or higher in six states. Two of the plans studied had pension take-up rates higher than 95 percent, while Florida and Michigan had take-up rates of 76 percent and 75 percent, respectively. Importantly, the research finds that even when the retirement plan default option favors a DC plan, most employees still select a DB pension plan. For example, in Washington the default retirement plan is a combination DB/DC plan. Employees must affirmatively act to elect to participate in the DB pension plan instead, and they do. The majority of newly-hired employees – six out of every ten new hires – actively choose a pension plan. These findings are contained in a new study, Decisions, Decisions: An Update on Retirement Plan Choices for Public Employees and Employer. The research is co-authored by Jennifer Brown, manager of research for the National Institute on Retirement Security (NIRS) and Matt Larrabee, principal and consulting actuary with Milliman. “Our findings also suggest that the public sector is unlikely to mimic the trend away from pensions as seen in the private sector for two reasons. First, there is strong employee support for pensions. Second, DB pensions remain the most cost-effective way for public employers to provide a modest and secure retirement benefit for employees who typically earn less than comparable private sector employees,” Brown explained. Some states started to offer public employees a choice between DB pension plan or an individual DC account for their primary retirement plan as far back as 18 years ago. Today, seven statewide pension systems give new hires the choice between participating in a DB pension or a DC-only plan – in Colorado, Florida, Montana, North Dakota, Ohio (two systems) and South Carolina. In two states – Utah and Michigan – some or all employees have a choice between a combined DB/DC plan and a DC only plan. Washington offers a choice between a DB pension and a combined DB/DC plan. Across the board, the experience of these systems indicates that public employees overwhelmingly choose the DB plan. In 2015, North Dakota’s DB plan had the highest take up rate at 98 percent; the lowest DB take up rate was in Michigan, which still saw 75 percent of employees opting for the DB pension. As such, the percentage of new employees electing DC plans currently ranged from two percent in North Dakota to 25 percent in Michigan. Over the last decade, employee election patterns remained consistent for each state. However, a noticeable spike in employees choosing the pension occurred after the 2008- 2009 stock market collapse. The table below provides an overview of new hire retirement plans elections in 2015 for states offering a choice of a pension of DB or DB/DC and DC only plan. It should be noted that many employees in the states in the chart above who do not actively elect one plan or another are defaulted into the DB plan. The research also indicates that employees directing their own investments typically tend to earn lower investment returns than that of state pension plans. The investment advantage in public DB pensions can be attributed to three factors: lower expenses, professional asset management and an optimal investment allocation used by the DB plan over decades. DB pension plans also benefit from longevity risk pooling. Also, the research examines the issue of states eliminating DB pensions and moving new hires into DC accounts in the hopes of lowering costs or addressing funding shortfalls often caused by states skipping their full actuarial contributions. But, the experience of states shows that such a change has the opposite impact with a DB to DC switch increasing retirement costs for employers and taxpayers in the immediate future. The new research is an update to a 2011 study with similar findings. 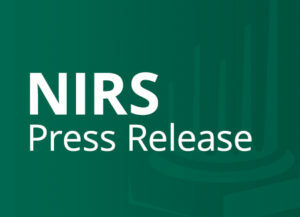 To conduct the study, NIRS and Milliman requested information directly from the retirement systems that allow new hires to choose between DB, DC, and combination plans. These systems provided statistics on members that have selected each option. The authors also requested other important provisions relating to benefits and contributions. This primary source material provides a valuable insight into what really happens when public employees are allowed to choose between DB and DC.